Many people are familiar with the famous Zingerman's Deli in the Kerrytown District of Ann Arbor. 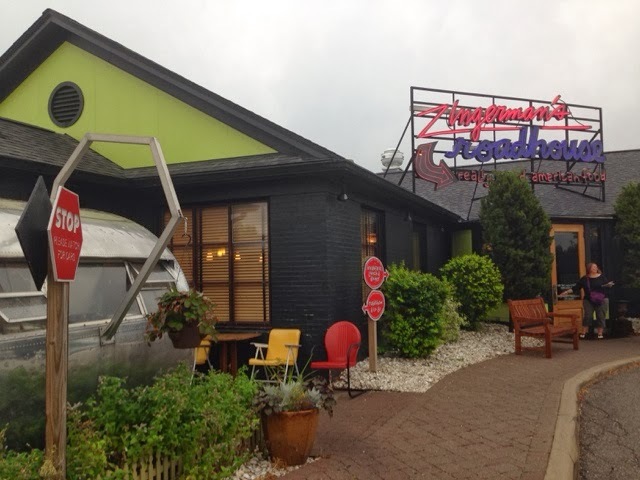 Zingerman's Roadhouse is a sit-down restaurant on the outskirts of town that has the same commitment to high-end food. 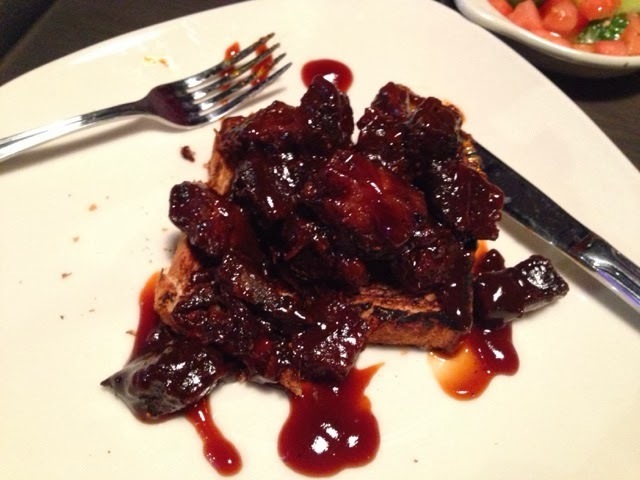 The Roadhouse has American Favorites and BBQ. We have eaten here many times, and it is always a great experience. 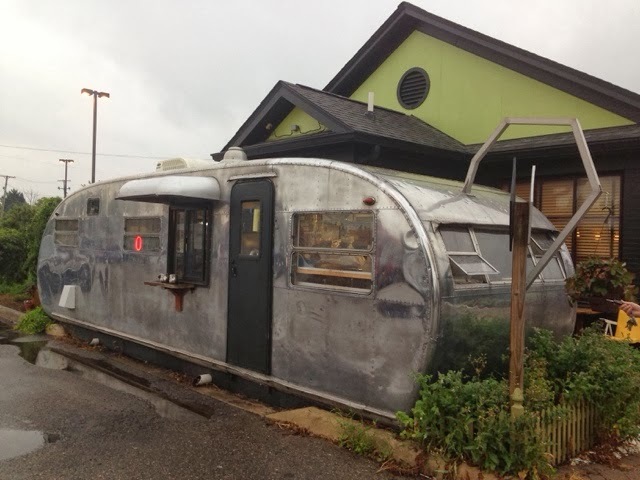 Their Carry-out window is actually an RV. You can call-in an order, or get easy things like Coffee, Pastries, and Sandwiches at the window. 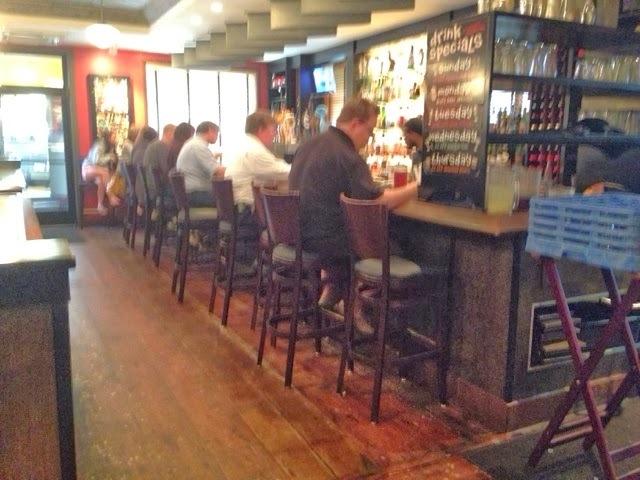 They have indoor seating, outdoor seating, bar seating, and bar-like seating near the cooks. 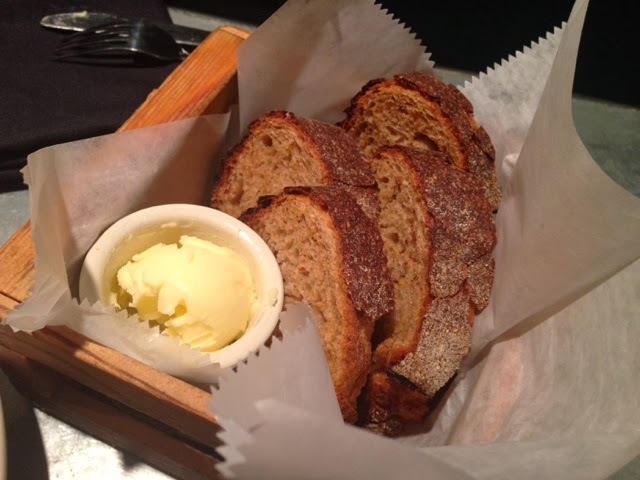 Of course, you get a basket full of Zingerman's famous bread along with fresh made butter from their creamery. 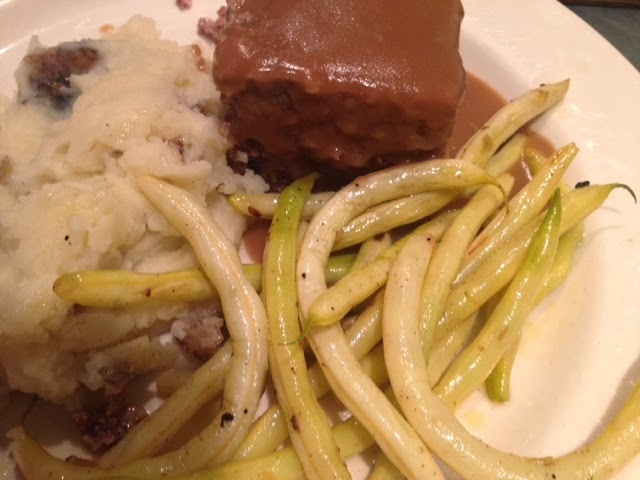 My Grandmother got the Meatloaf with Mashed Potatoes and Wax Beans - the special for the night. 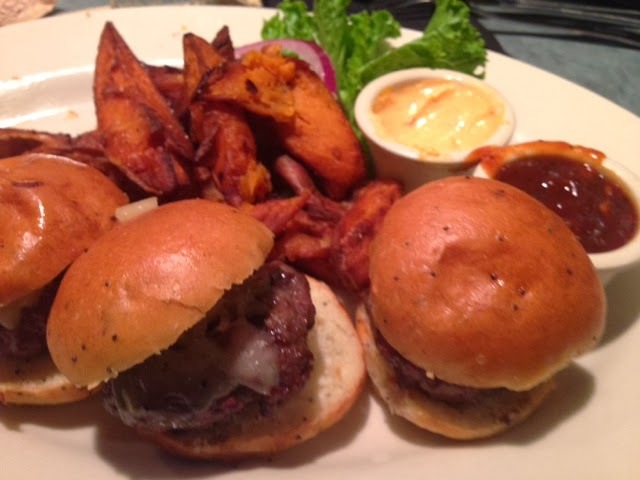 I got 3 sliders with different cheeses and sauce. They were awesome. My favorite part is their sweet potato fries with a chipotle dipping sauce. I usually hate sweet potato fries, but these are amazing. They are so soft on the inside and so crispy on the outside. I'm guessing that they have to bake them for a while and then finish them in the deep-fryer. I have tried to reproduce these at home and it doesn't work!!! Seriously, I am addicted to these fries, and you get "free refills" on the fries. The Roadhouse's prices are a bit steep, as you would expect from Zingerman's. But this is a fantastic special-occasion restaurant. Their Macaroni and Cheese and Fried Chicken are fantastic as well. Zingerman's prides itself on the best, freshest ingredients, and they are always prepared to perfection. Their Bar Menu is great as well, including fun things like flights of whisky. One last thing! Their Iced Tea is awesome - has an Earl Grey flavor to it. Also, when in season, their Paw-Paw Ice Cream is a huge treat. Downtown Milford is a great place to eat lunch and go window shopping. 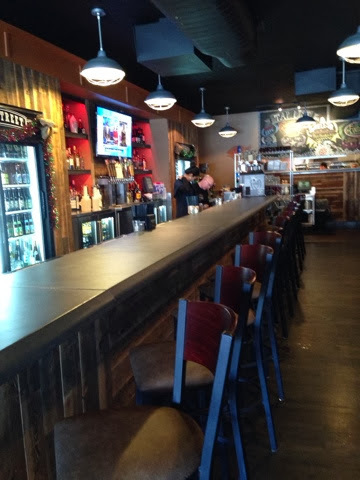 The latest restaurant on the block is the Smoke Street BBQ. Since I lived in Fort Worth Texas for a few years, I am a big fan of BBQ and I love to see its popularity grow in Michigan. 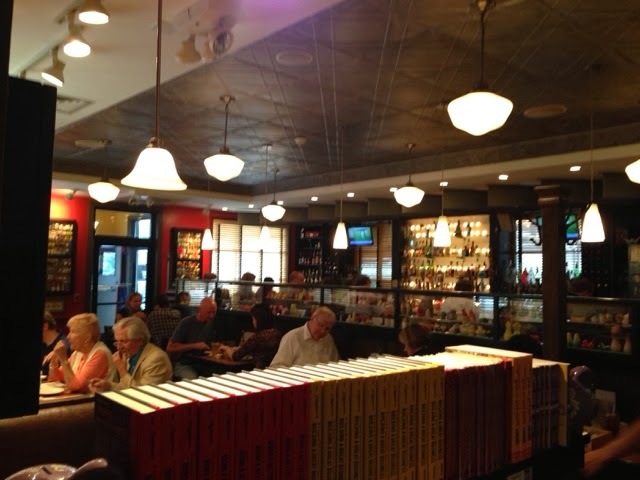 The place is nicely decorated and would be a great place for lunch or dinner. They had 6 different sauces. My favorite was the "Street Sauce" which is their house sauce. I think that it is a good balance of sweet, spice, and vinegar. None of the other sauces really appealed to me. 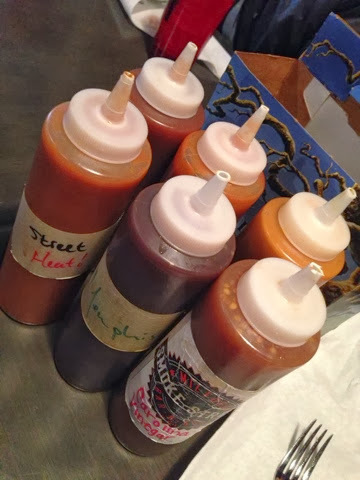 In particular, I didn't think that the Memphis sauce was very well balanced, it was just incredibly sweet and Molasses-ey. A few people in my grounp got this sandwich with Brisket, Bacon, and Pinconning Cheese. They all really enjoyed it, and said that the Collard Greens and Mac & Cheese were good as well. 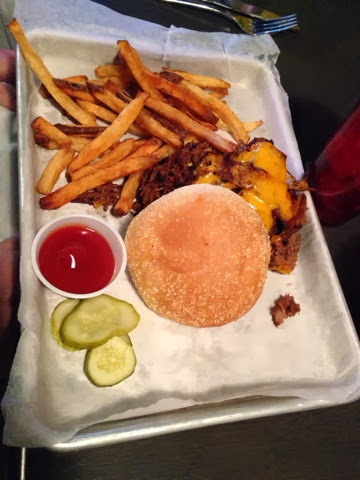 The fries are hand-cut and fresh made, which is a great touch. Lastly, I must mention their Sweet Tea. Although it was good for Michigan, this was not a Southern style Sweet Tea. This was probably the most disappointing part for me. They need to double their sugar!!! (This is coming from a girl who loves UN-Sweetened tea. I just know how Sweet Tea is supposed to taste, and this is not it.) I think that there are some places around Detroit that are doing a really great, authentic Southern BBQ. Smoke Street is good! You will not be disappointed. However, I think there are a few things they can do in order to change this from good to great. One more thing - service was friendly and great!